This project involved several parameters, and after consulting with the clinic directors office, we decided upon the following methods. Considering the short length of the corridor, we chose small white acid-free mats with a standardized size extra window opening for name and title and black metal frames from our special value line. This kept the cost down and allowed us to install the framed photos closely together in three rows. 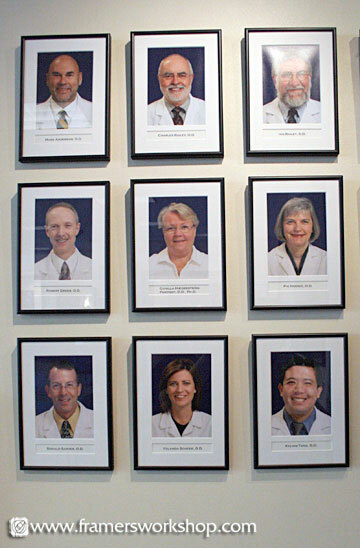 As the photos are arranged alphabetically, the staff needs to rearrange much of the wall when the department engages new faculty. 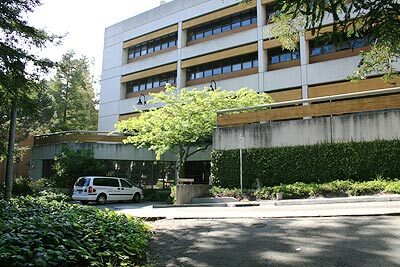 Moreover, as this is a public location, the need for a security installation was important. We choose Nielsen Security Hanger sets for this project. After our installer finished the exhibit, he spent time with several staff members to make sure they knew how to unlock the hangers with a tool we left for this purpose. Now, all the staff members need to do is switch the framed photos they need to, and relock the security hangers. 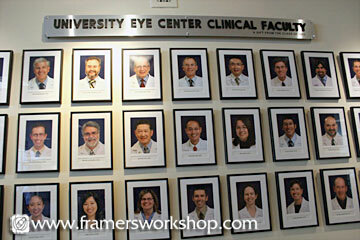 It was a pleasure working with faculty members at the Eye Clinic to create this informative display. Now when patients arrive, they can immediately see a photo of their doctor. 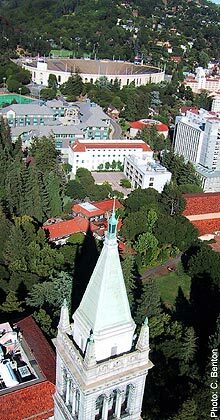 University of California eye Care Clinic. 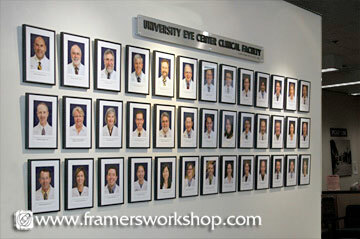 Photo courtesy of The University of California Eye Care Clinic website.